Elegant and beautiful pink, green, and white Cymbidium orchid flower personalzied iPhone 4 Barely There Case-Mate (casemate) case. The name is easy to change on the Zazzle website. 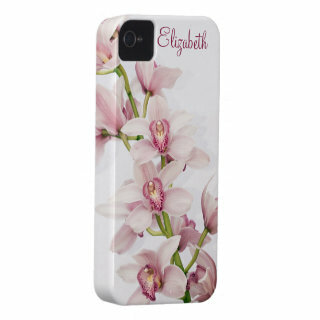 Orchids are popular tropical flowers and they add some feminine style to the iPhone.